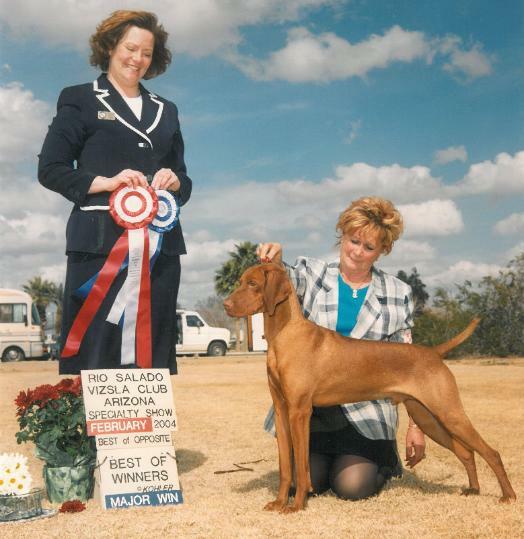 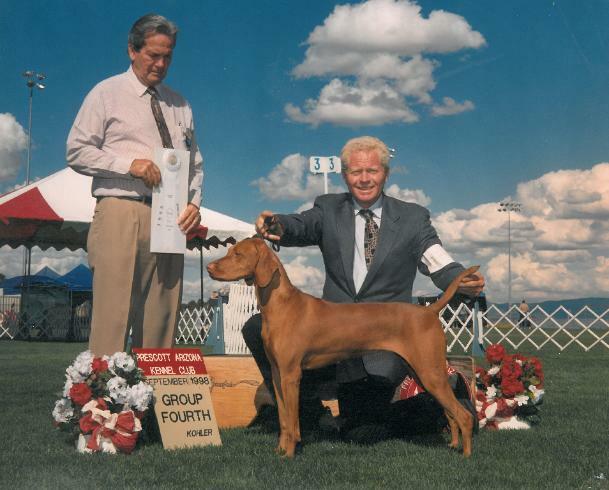 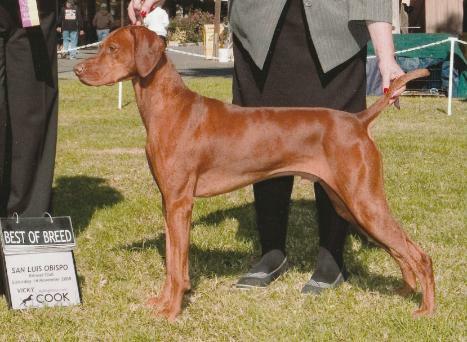 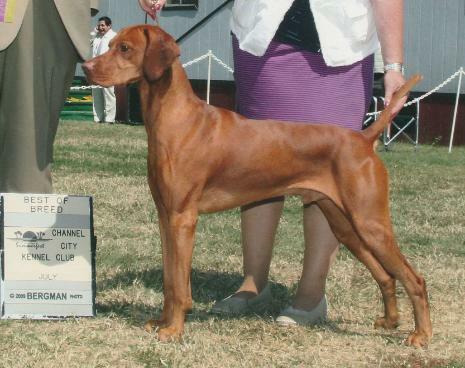 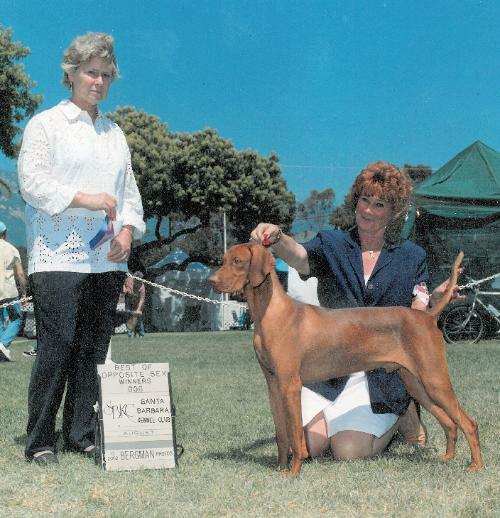 Bismark's Kids, Bismark - 14xBIS 2XNBISS NBOS MBISS CH Russet Leather Warrior's Mark JH, MAOM, ROM, HOF - All Time Top Winning Breeder/Owner Handled Vizsla in the breeds history! 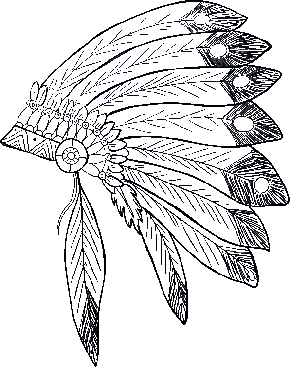 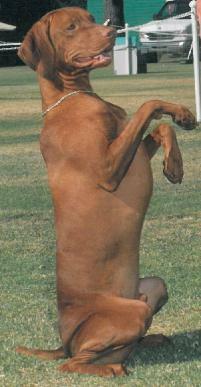 Bismark leaving his mark on History! 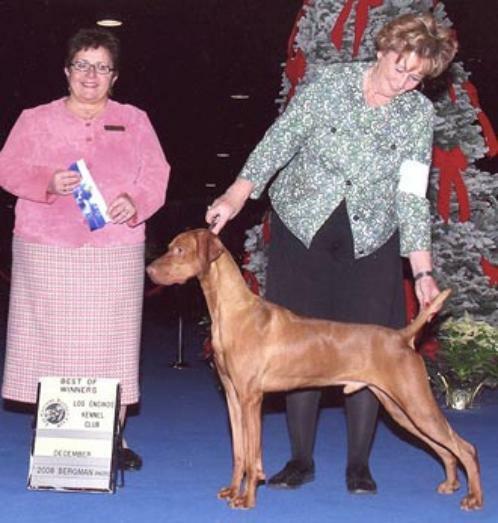 Dam: Vadászfai Siraly (Hungarian Import) "Shirye"
Beverley Wanjon "Russet Leather Vizslas"
Copyright 2006-2019, Russet Leather Vizslas, All rights reserved. 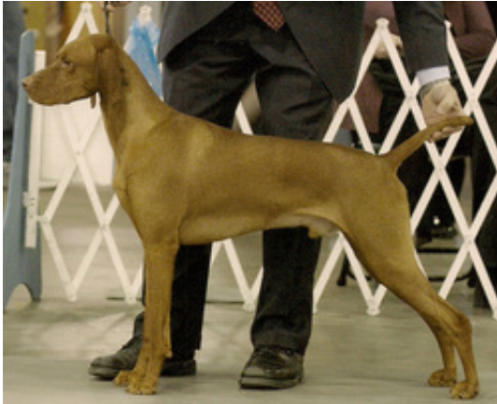 Dam: CH Brenvilla's All Jazzed Up ROM "Jazmine"
Dam: Russet Leather Shinnah "Cassie"
and Opposite over top Specials! 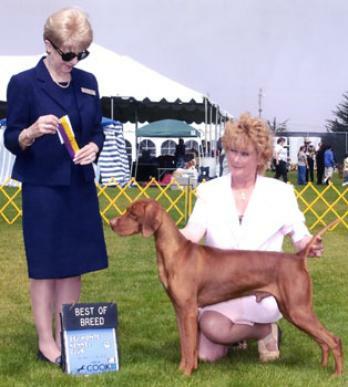 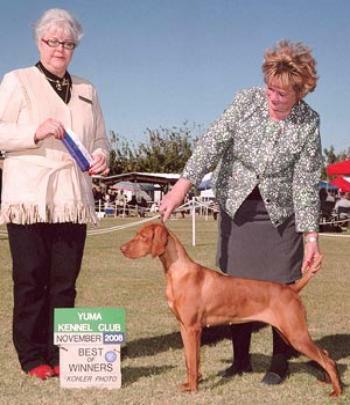 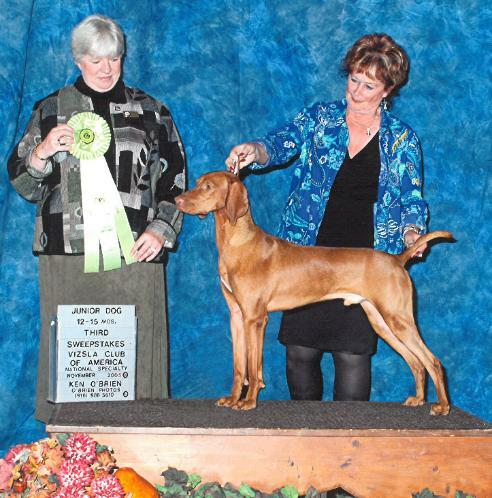 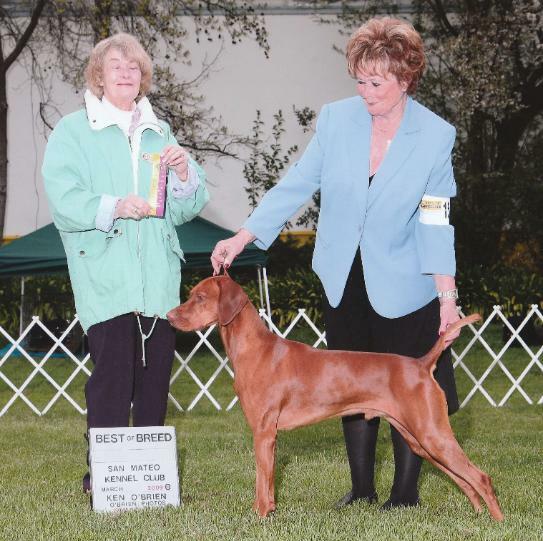 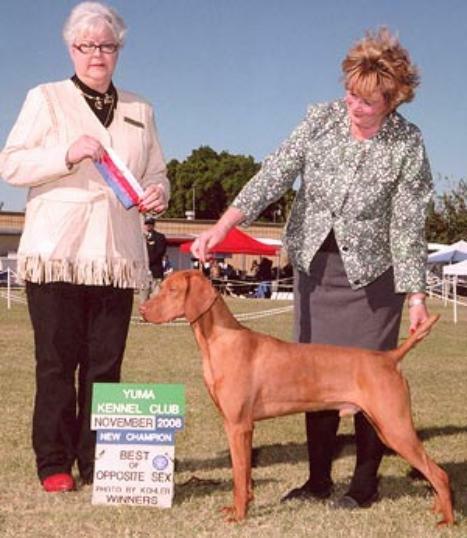 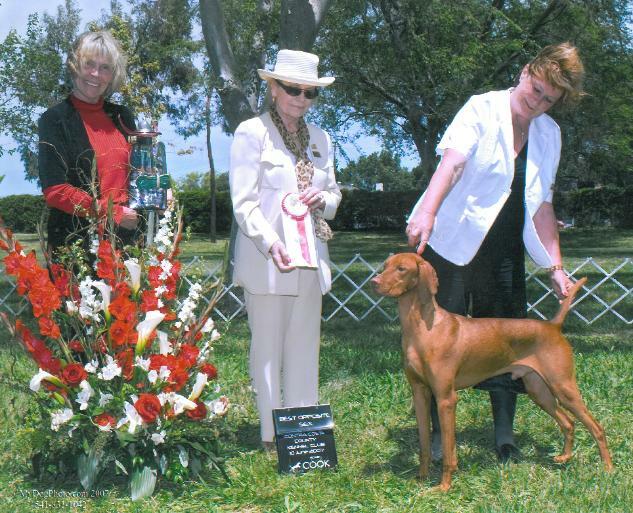 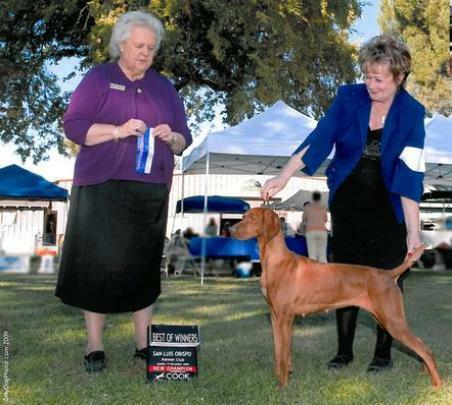 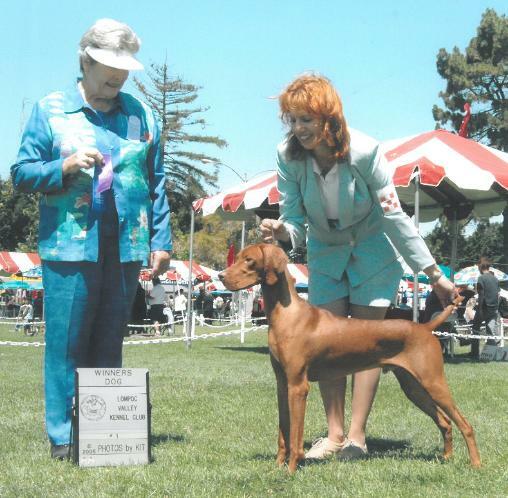 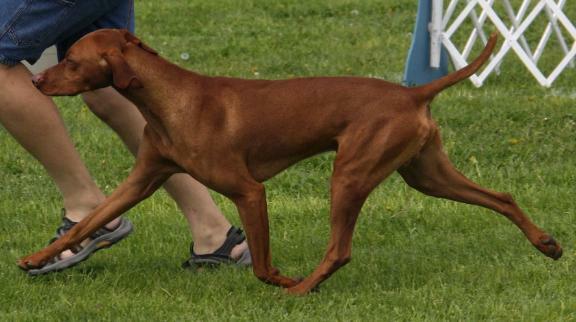 Dam: CH Striders Cayenne Here She Is "Cayenne"
Dam: Russet Leather Dawn Rider "Treasure"
All Time Top Winning Breeder/Owner Handled Vizsla in the breeds history! 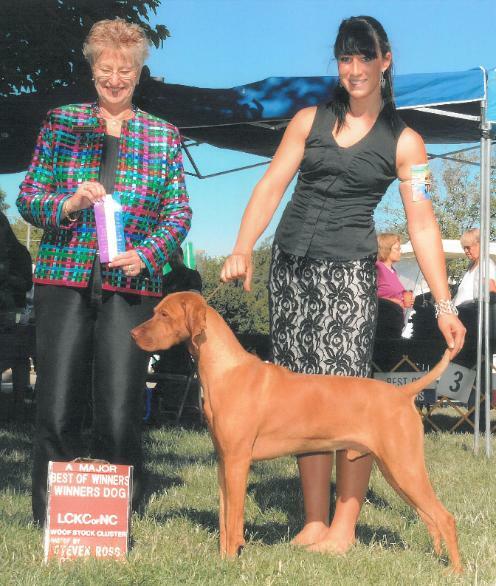 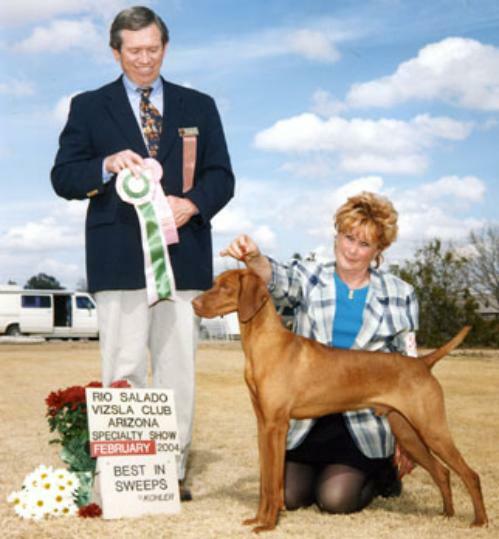 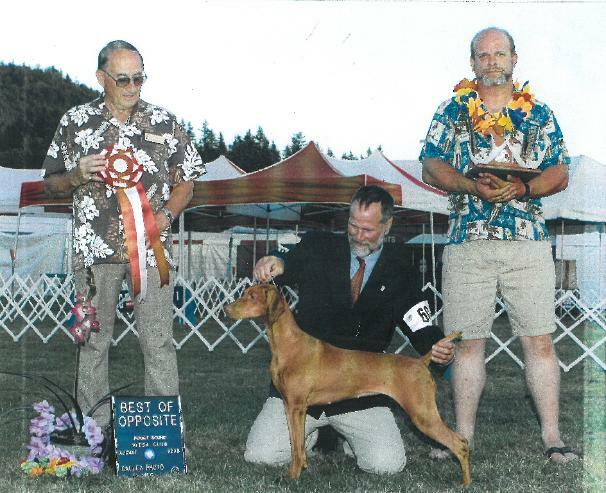 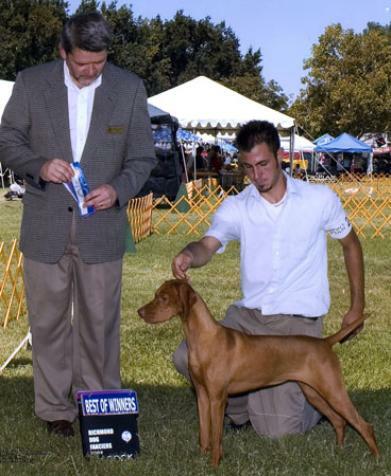 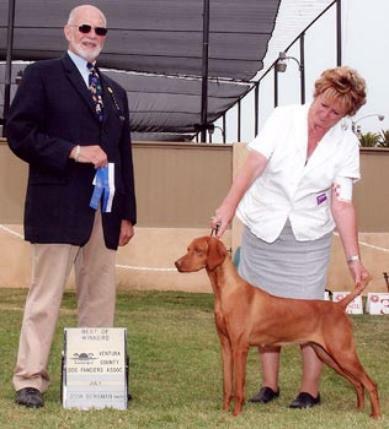 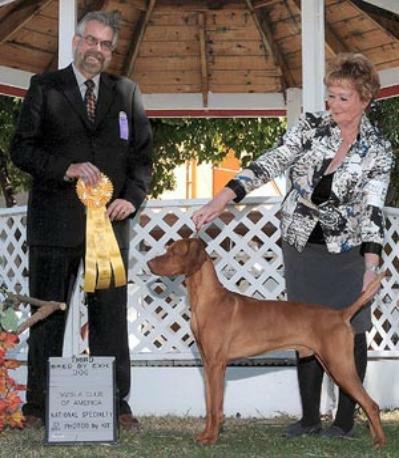 National Events - Top Winning Male Vizsla in the History of the Vizsla Club of America! 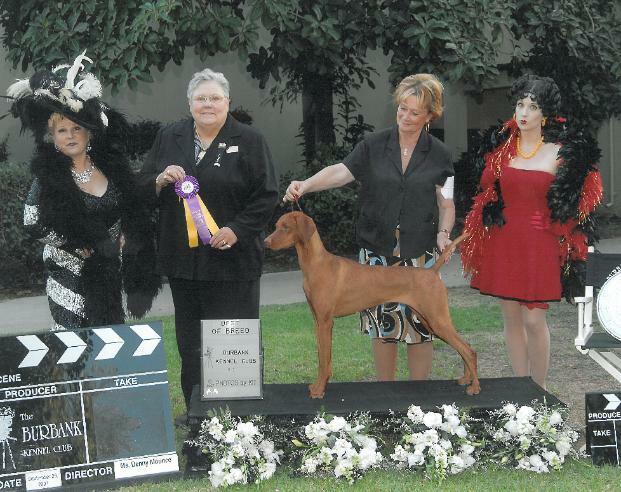 2x Best In Specialty Show - 2001 and 2003 & Best of Opposite - 1999! 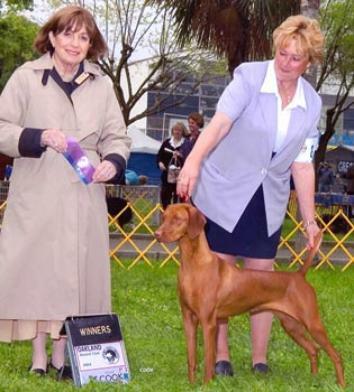 VCA Registry of Merit & VCA Hall of Fame - 2018!